I visited the North Fork of the Nooksack River yesterday and there were many more eagles than the last time I was there. I saw at least 125, 50+ in the vicinity of Kendall fish hatchery and 75+ mostly around the Mosquito Lake road bridge and up the N Fk rd. Many were drying their wings. I had not seen this in such numbers before for some reason. Eagles dry their wings by perching with the wings slightly open. See subadults in branches toward top of picture. This might have been my highest count in the two years I have participated in the survey (Rockport to Sedro-Woolley.) Unfortunately, it appears the Nature Conservancy was unable to get a count from Marblemount to Rockport so we have a mystery. Everyone is a go for this week’s count so stay tuned. 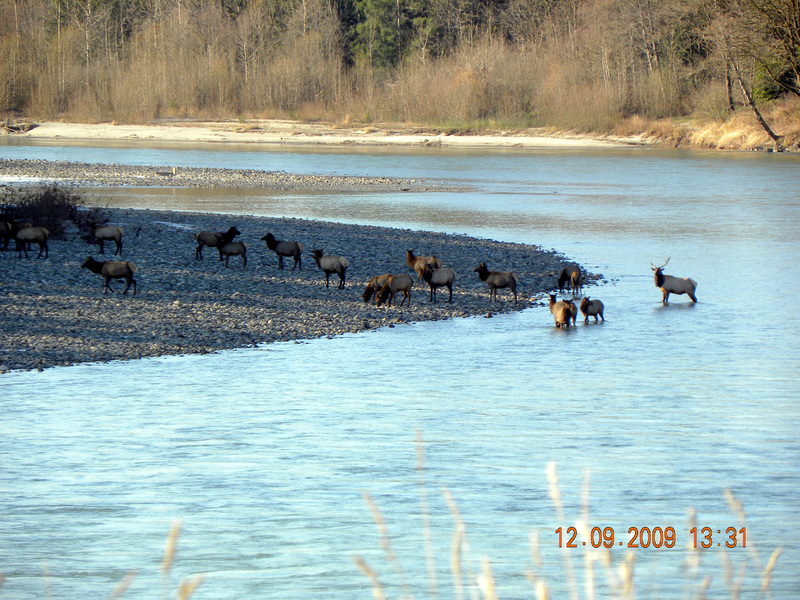 On Saturday my family and I took a trip up the Nooksack Valley to find our Christmas tree. 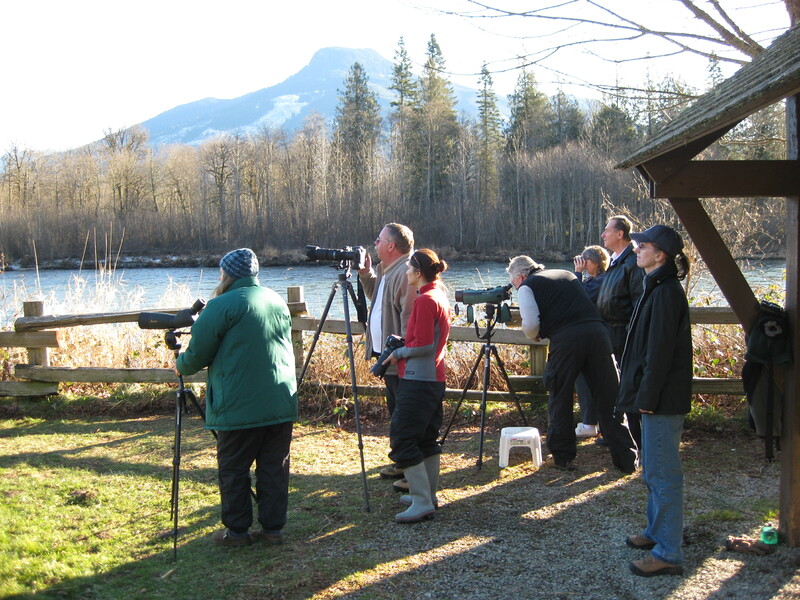 Since we saw so many eagles just from the highway (especially around Zenderville) we decided to stop at the Kendall Fish Hatchery on the way home and see what the river access and eagle viewing is like there. As we pulled into the parking lot I could already see six eagles before we even got out of the car. We scrambled to the top of a rock berm and I glassed the river view. 41 eagles just from that one spot! 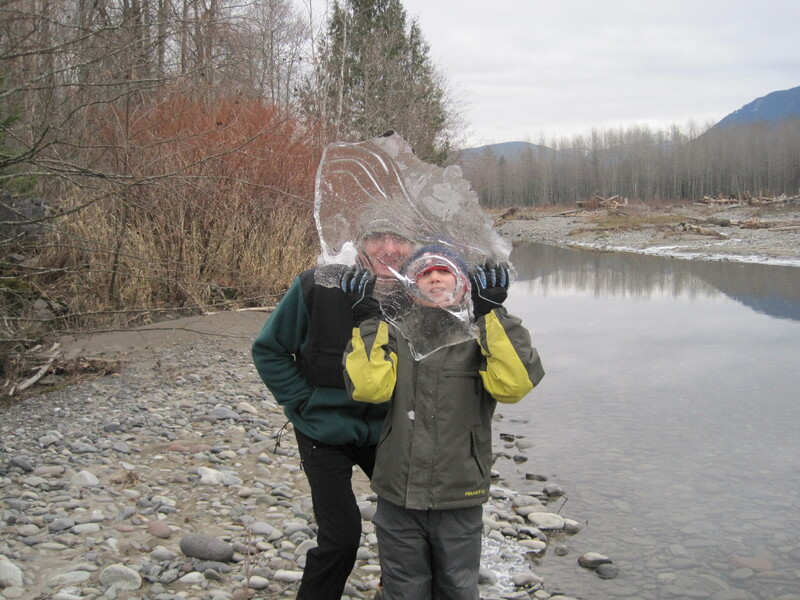 The boy enjoyed playing with the ice as we enjoyed the relaxing riverside scene. The visitor center was closed so we headed back to the car to get warm. We took a quick detour to the Mosquito Lake Road bridge and saw a few more eagles through the car windows. 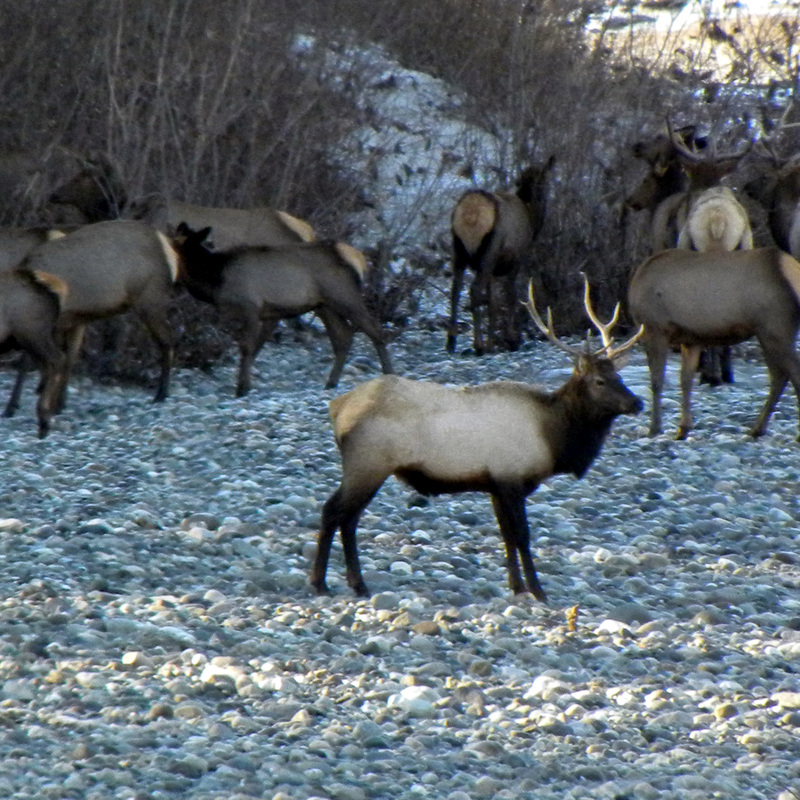 Lastly we took a cruise down Truck Road past the Deming Eagle Park (no eagles in evidence) and home. 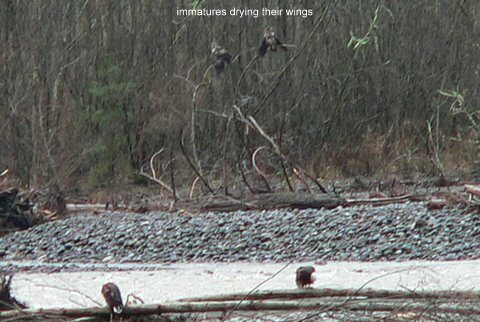 My excited young eagle counter came up with a total family sighting for the day of 64 birds – a great day on the river. The chum are here! We observed plenty of feeding yesterday.